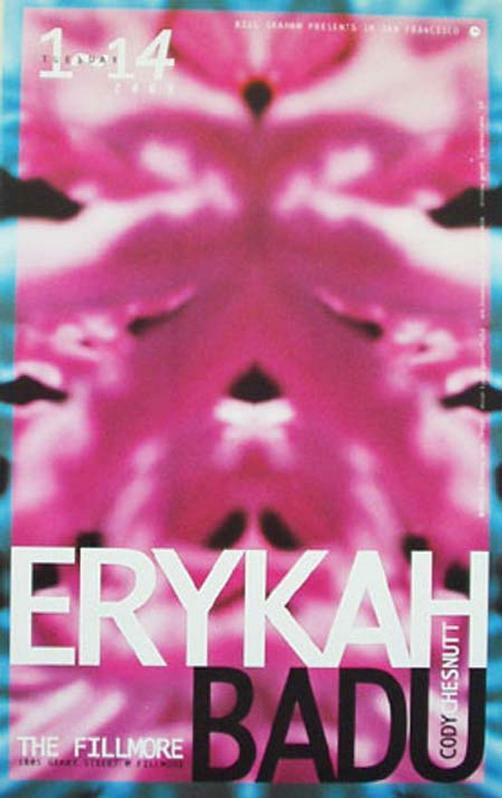 Original concert poster for Erykah Badu at the Fillmore in San Francisco. 12x19 on card stock. Art by Lynne Porterfield.